This moe. sticker is based on the European oval country sticker. 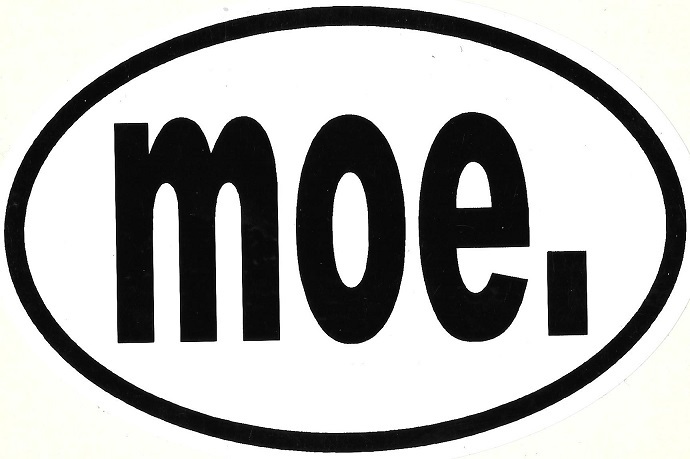 The Euro style sticker has the letters moe. on it. Approximate size is 3 1/4" x 5". It's an all weather sticker and would look great on your car or truck.